Far too few Christians reach their potential. Some simply drop out. Why? Usually because they don’t have a real understanding of their identity in Christ. Traditional discipleship teaching can easily end up sounding like a list of ‘dos’ and ‘don’ts’: ’Do this every day…’ ’Don’t do that any more…’, ’You know, successful Christians behave like this.’ So they end up simply acting like Christians. Some manage to do and say the right things but don’t necessarily live fruitful lives. Others constantly require help with the same old issues. Some just drift away. Read any of Paul’s letters to the churches and you’ll usually get halfway through before you find instructions on how to behave. First he concentrates on what’s already been done; the ‘riches’ we have in Christ (Ephesians 1:18). Because it’s not what we do that determines who we are – it’s who we are that determines what we do. 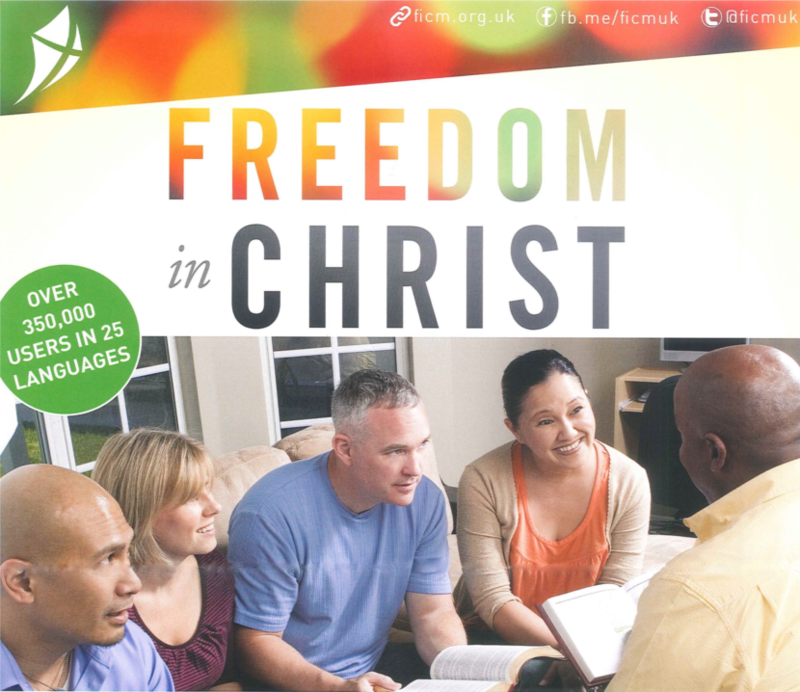 The approach of the Freedom in Christ course helps people grasp all that happened the moment they became Christians: who we are in Christ; the truth of God’s unconditional love; why there is no condemnation; why we don’t have to languish in cycles of sin, negative thinking and hopelessness. But good teaching on its own is not enough. Although the key to freedom is knowing the truth (John 8:32), simply telling people the truth doesn’t mean that they really know it. So, the Freedom in Christ course also has a gentle ministry process to help people repent of past sin and resist the devil. For many this ‘clearing out of rubbish’ is the key to the teaching falling into place. A ministry process called The Steps To Freedom In Christ. This is run towards the end of the course and helps Christians deal with negative influences and unresolved spiritual conflicts. It is straightforward, gentle and respectful. The course is comprehensive and exceptionally easy to follow. It is backed up by books, audio material and training resources. We will be running the course on Thursday evenings, at 83a, 7.45 – 9.45pm, from 27thSeptember to 29thNovember. 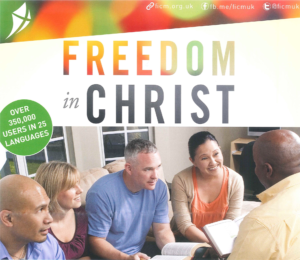 The ‘Steps to Freedom’ day will be on Saturday 24thNovember. When we have held it in HCC before, we’ve seen many lives changed by the teaching and ministry of the course. It is simply so much help to us in our Christian walk. Would you like to take a significant step in your Christian walk this Autumn? I encourage you to do so. If you woudl like to come on the course, please let the office know via admin@hccuk.org or 01480 411665 by 20thSeptember.